The Halifax Police department announced on Wednesday, Nov. 18, that Soi Ket Dang, 32, of 46A Wamsutta Ave., in Halifax, was arrested Tuesday evening by the Halifax Police Department and charged with one count of murder. 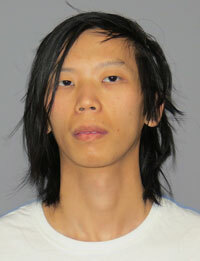 Soi Ket Dang arraigned for killing 19-year old Revere woman. Photo courtesy of Halifax Police Department. He was arraigned Wednesday morning in Plymouth District Court according to the Plymouth County District Attorney’s office. Dang pleaded not guilty and is being held without bail. Police allege that Dang stabbed a female victim to death, Marissa Randall, 19, of Revere. It appears that the victim was involved in prostitution, leading to her death at the hands of Dang. Dang aroused suspicions when a missing Duxbury teenager was located by tracking her cell-phone to an address on Wamsutta Avenue around 3:30 p.m. Tuesday. Halifax police located the missing individual and returned her to Duxbury police. Due to the Duxbury investigation, “a witness” reported seeing blood in Dang’s house, and the possibility of a body. Halifax police were then notified by Duxbury police of this turn of events. When Halifax police arrived at 46A Wamsutta Avenue, Dang invited them in without any objection. Police observed what they believed was blood on the floor and a female body wrapped in a blanket. This was their second meeting, and had agreed on an amount of money to be exchanged for sexual services. A disagreement over money led to a struggle, and eventually the stabbing death of Randall, who was stabbed six times, authorities said. Wednesday afternoon, Wamsutta Avenue was quiet. The street is tucked into a quiet neighborhood, nestled between the East Pond and West Pond of Monponsett Lake. A succession of various members of the media slowly stopped by the small, detached unit known as 46A Wamsutta Avenue, a stone’s throw from Our Lady of the Lake Church. There was no evidence of police or forensics activity on either property. A town official who was not authorized to speak on the matter confirmed that the body was removed on Tuesday night. A neighbor arriving home with his dog, who did not wish to be identified, stated that the property was usually quiet. 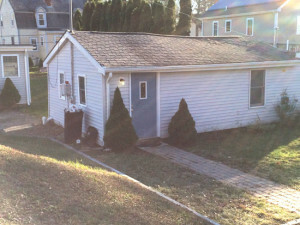 When asked by a Boston Globe reporter if it was a “party house,” the neighbor said he wouldn’t characterize it that way. “We went to bed around 12:30 last night, and there were a lot of police, but the police were all gone by the time we woke up on Wednesday morning,” he said as he walked into his house. Roy also echoed Chief Broderick’s praise for the two initial responding officers, Rob McDonnell and Mike Schleiff. “We are lucky to have such diligent police in Halifax,” she said. The case remains under investigation by State and Halifax police in conjunction with the State Police Crime Scene Services and the State Police Crime Lab.